BENGALURU: Aerospace scientists in Bengaluru and Moscow have quietly begun work on the hypersonic version of supersonic cruise missile BRAHMOS. "They have been breathing only hypersonic for some time now," BrahMos Aerospace CEO and Managing Director Sudhir Kumar Mishra told OneIndia during an exclusive interview. He said ahead of India, the United States of America (X51), Russia (GLL-AP-02) and China (WU14) have already made some attempts in unmanned scramjet demonstration flights, leading to their possible hypersonic flights in future. "May be in the next 7-12 years, we want to be the first country in the world to develop a hypersonic missile. We are confident," Mishra said. He said that BrahMos Aerospace has indentified 13 focussed areas to undertake research and development to achieve hypersonic levels. "There are 14 research facilities in India now that can aid our hypersonic mission," he said. Confirming the expansion plans of BrahMos to OneIndia, Mishra said that the new thought process mandates increasing the integration and production capacity. "We need to develop the capacity for life extension. In addition, we need to give product support as well. A new facility is coming up in Pilani (Rajasthan) which will act as a Product Support Centre," Mishra said. 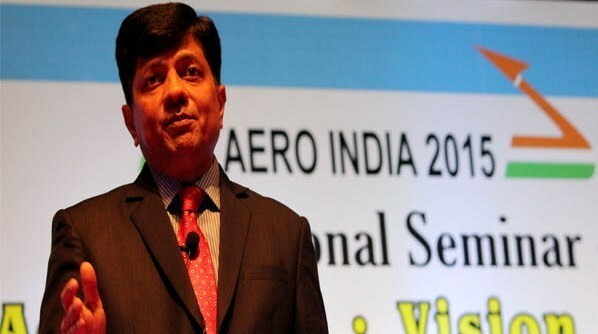 Mishra, who took over as the BrahMos CEO in August 2014, said that he has set his 'specific goals' on taking his team towards "achieving challenging and exciting tasks" ahead. "The autonomy BrahMos Aerospace enjoys needs to be justified through an inspiring work culture linked to deliverables. I am keen to have transparency in all my areas of work. I am keen that BrahMos work partners (DRDO in India and NPOM in Russia) get the finest technologies available in the world today. The success of BrahMos is a result of the people-to-people relationship between India and Russia," the top missile scientist said.